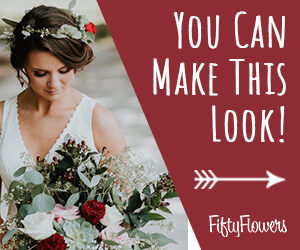 Professional florists use different means to elevate small flower arrangements, votive candles and other items higher than the main part of the arrangement. 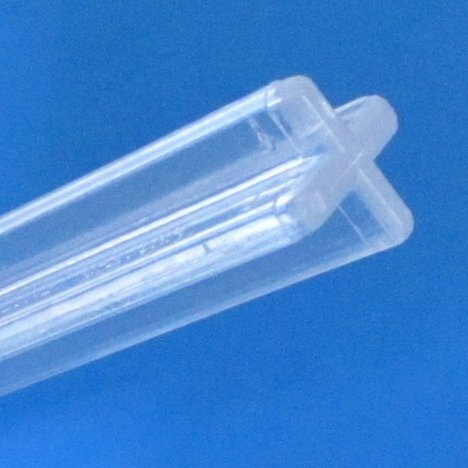 The Lomey Design System Columns are hollow tubes that can have lights or flowers slipped inside the tubes as a part of the overall design. 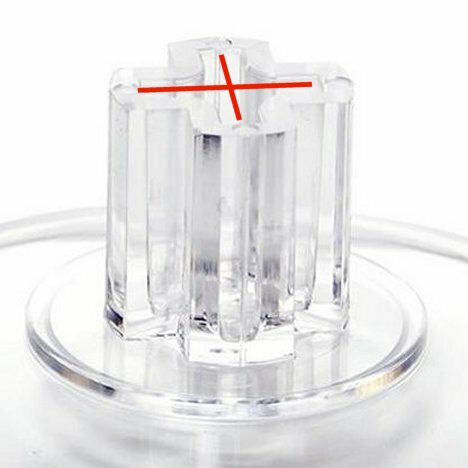 They tend to be sturdier and can bear more weight than their slender counterpart, the acrylic pedestals. Pedestals are more slender and actually form an "x" when viewed closely. 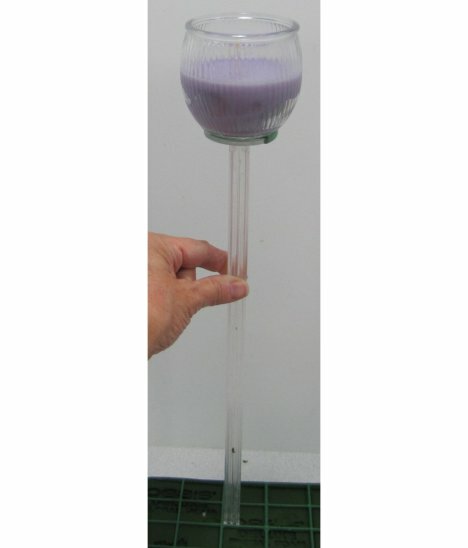 It comes with a pre-attached molded flat top on which to attach candles or small bowls. Here's a closeup view of the pedestal rod. See how the slender fitted pieces actually form the "x" that fits into the universal base. 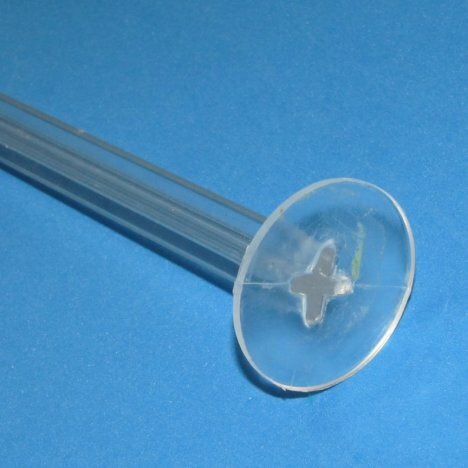 The top part is a round acrylic disc already attached to the "x" shaped rod. Each rod comes with a detachable lower wheel like attachment. This can be attached permanently with Lomey Adhesive if needed. I actually seat the votive candle directly to the top of the pedestal with a flattened piece of florist clay. A closeup of the universal base shows that it can by both the pedestal and the hollow column. It, too, can be cemented permanently together with Lomey adhesive. 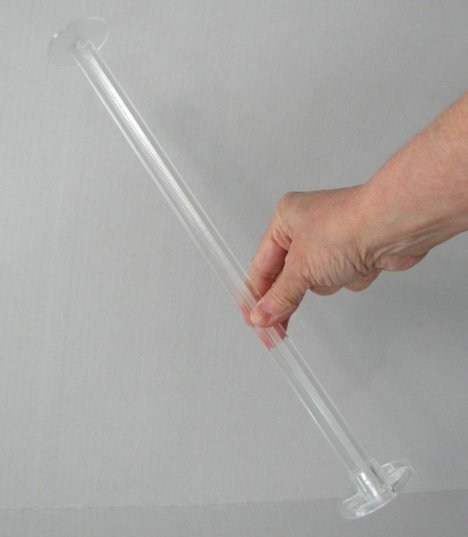 The hollow column slides over the center portion of the universal base. The "x" shape of the pedestal fits snugly down inside the "x" opening of the universal base as well. 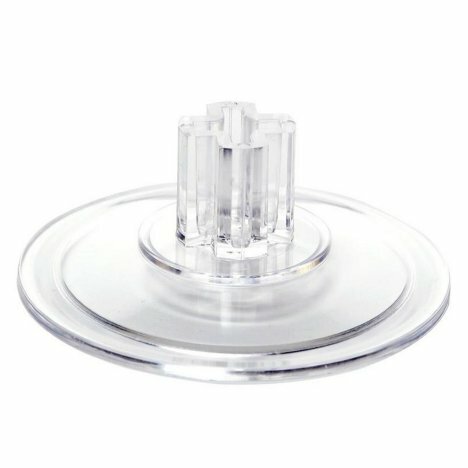 Here's a drawn back view of the universal base. 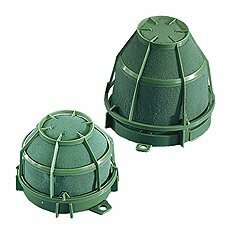 It can be cemented to the bottom of a flat container (which gives it more stability and is less likely to tip over) or placed on the table as a separate free standing pillar. 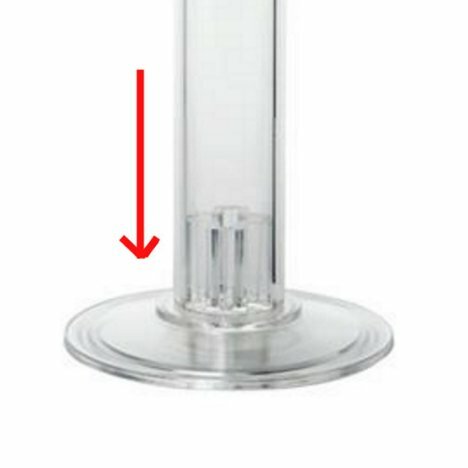 The base is sold separately from both the pedestal and the column. 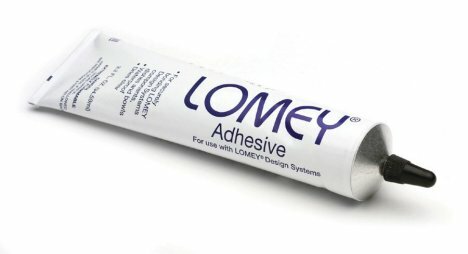 Do not mistake this Lomey adhesive for floral glue (used for flowers). 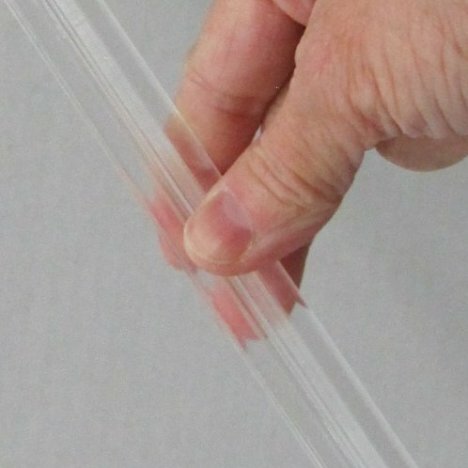 This is meant only for gluing the clear acrylic pieces of the Lomey Design System together. 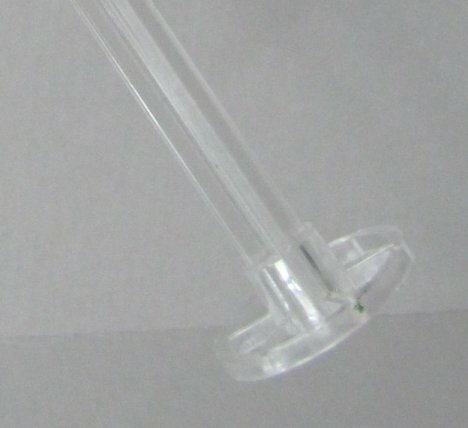 Once glued, the pieces CANNOT be separated later. Floral clay holds tightly, but the pieces can be separated with some effort. 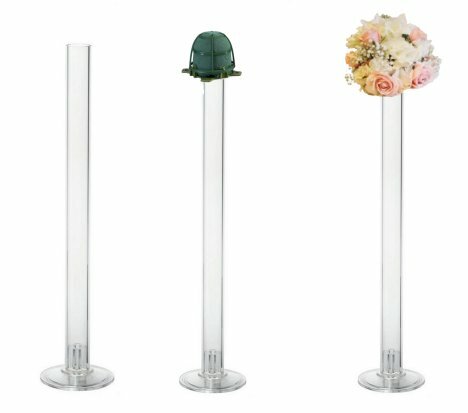 Iglus can be glued (or attached with floral clay) to the tops of the columns or pedestals if you wish to elevate small (lightweight) flower arrangements above the main flower arrangement. I've often seen them staggered around the wedding cake with small arrangements set at different levels around the cage.